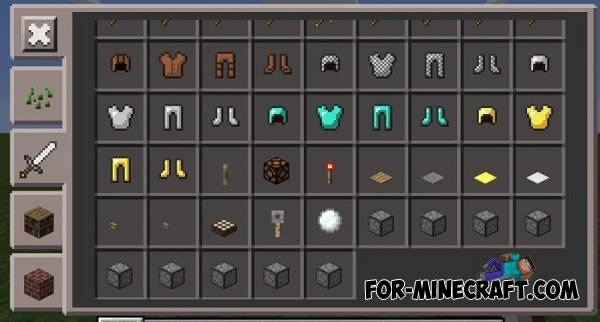 The developers have added all redstone items in version 0.14, except for the pistons. This mod will not only add a normal and sticky pistons but also adds the ability to create a cool circuits and mechanisms. 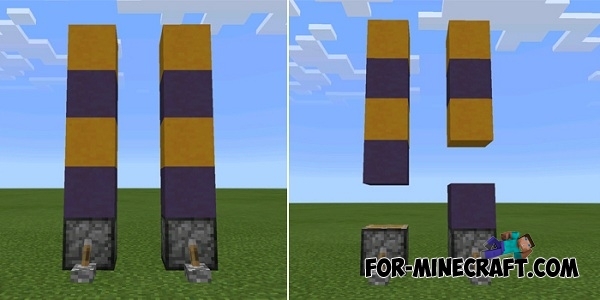 Blocks can be moved in different directions as you like. Try to experiment and find new ways. You can crafting pistons (recipes list below) and find them in one of the inventory tab of creative mode. More Pistons Mod - adds to the game five types of pistons. This conventional pistons, allowing to pull or push various objects. Double pistons have the same features, but action at a distance of two blocks. Triple pistons are respectively at a distance of three blocks and so on. There super sticky piston which is able pull any number of blocks. Due to these pistons you can build complex mechanisms with redstone. You will need redstone to automate certain processes occurring in the game world.